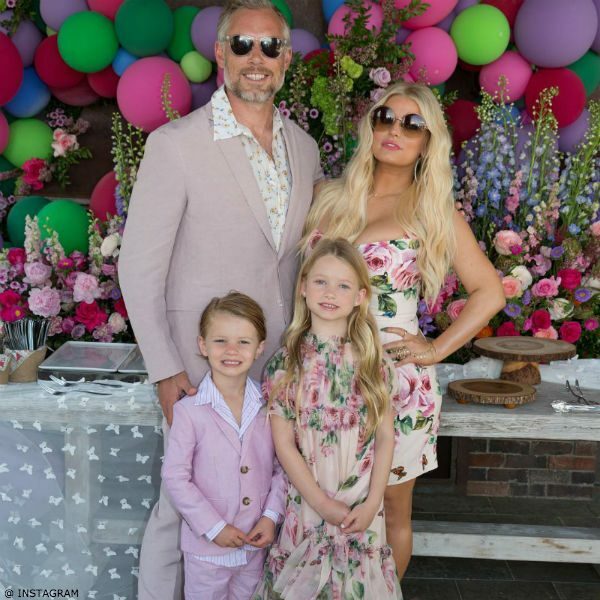 Love this Mini Me Themed Family Photo from Easter 2018 of Jessica Simpson with her husband Eric Johnson, daughter Maxwell and son Ace. How cute is it that mommy & daughter have matching D&G dresses and daddy & son have matching suits! Jessica is often photographed wearing Dolce & Gabbana so it’s natural to see her and Maxwell wearing the latest Love Christmas themed dresses from the Spring Summer 2018 Collection. 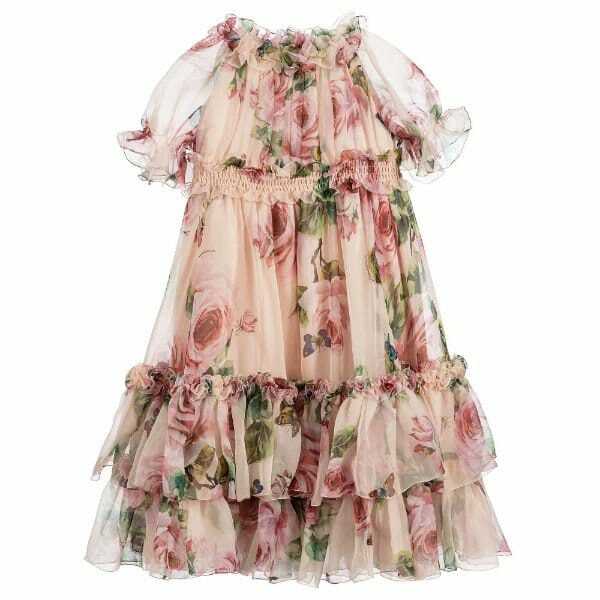 This Dolce & Gabbana Mini Me Dress is beautifully made in silk chiffon with an exclusive ‘Rose Farfalle’ print, meaning roses and butterflies together with ruffles, frills, and ruching. 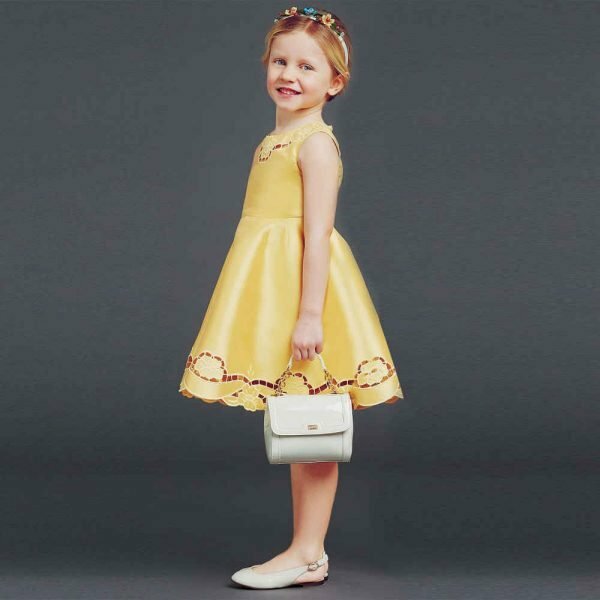 Shop this gorgeous dress from Italy online. Ships worldwide from the UK. Photo Source: Instagram / Jessica Simpson.